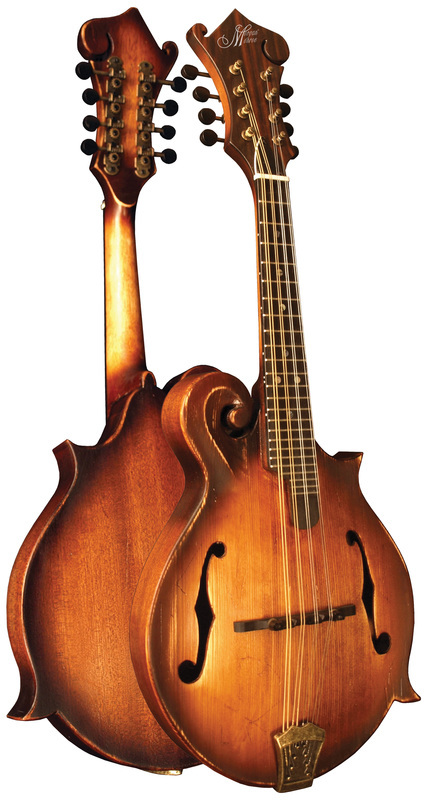 A classic F-style mandolin with the look of a slightly aged finish. This instrument has a vibrant tone due to the solid spruce top and solid mahogany back and sides. The all mahogany neck feels good in your hands when matched with an extended ebony fingerboard and the 30mm bone nut ensures maximum string transfer for a warm rich tone with plenty of body. Comes with an eye catching western hand tooled style hardshell case and the famous Morgan Monroe Lifetime Warranty!